Week 1. 15.10.18 – 20.10.18. Mon: 5062 – Neil MacDonald, Culduthel Road, Inverness. Tues: 1033 – Catherine Joss, Windsor Gardens, Pitlochry. Wed: 4738 – Alex Rennie, Towerhill Gardens, Inverness. Thu: 1935 – Mrs Rita Leith, Victoria Drive, Inverness. Fri: 2235 – Mr T Fraser, Drumossie Cottage, Inverness. Sat: 6105 – Charlie Maclennan, Druid Road, Inverness. £500 Weekly Winner: 5989 – John Riddle, Nevis Park, Inverness. Week 2. 22.10.18 – 27.10.18. Mon: 3037 – John Straiton, Dores Road, Inverness. Tue: 4750 – Ormond Smith, Darris Road, Inverness. Wed: 0665 – Mrs K Munro, Carseloch Road, Alloway, Ayrshire. Thu: 4343 – Mrs K Mackay, Dunain Road, Inverness. Fri: 1830 – Mr A Fraser, Englishton Muir, Bunchrew. Sat: 2610 – John Baillie, Glenburn Road, Inverness. £500 Weekly Winner: 1781 – Mrs D Ross, King Brude Terrace, Inverness. Mon: 5917 – Richard Murray, Burnbrae Avenue, Inverness. Tue: 1091 – Colin Dingwall, Dalneigh Road, Inverness. Wed: 2996 – Janet Home, Old Perth Road, Inverness. Thu: 4757 – Richard Fraser, Kilmuirhill, North Kessock. Fri: 0545 – Dorcas Neilson, Laurel Avenue, Inverness. Sat: 6241 – Aileen MacVinish, Duthie Terrace, Aberdeen. 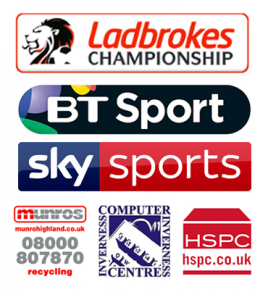 £500 Weekly Winner: 0790 – Mrs Linda Shaw, Drumdevan Crescent, Inverness. Week 4. 5.11.18 – 10.11.18. Mon: 5867 – John Ferguson, Balloan Road, Inverness. Tue: 2008 – Miss Katherine Ross, Balnatua, Culbokie. Wed: 0981 – Lynn Winpenny, Stratherrick Gardens, Inverness. Thu: 1599 – Mr A Little, Bynack Place, Nethy Bridge. Fri: 0454 – Mrs Fiona Barclay, Raigmore Avenue, Inverness. Sat: 1376 – Alexander Graham, Trentham Court, Inverness. £500 Weekly Winner: 5571 – Pamela Fraser, Ashie Road, Inverness.